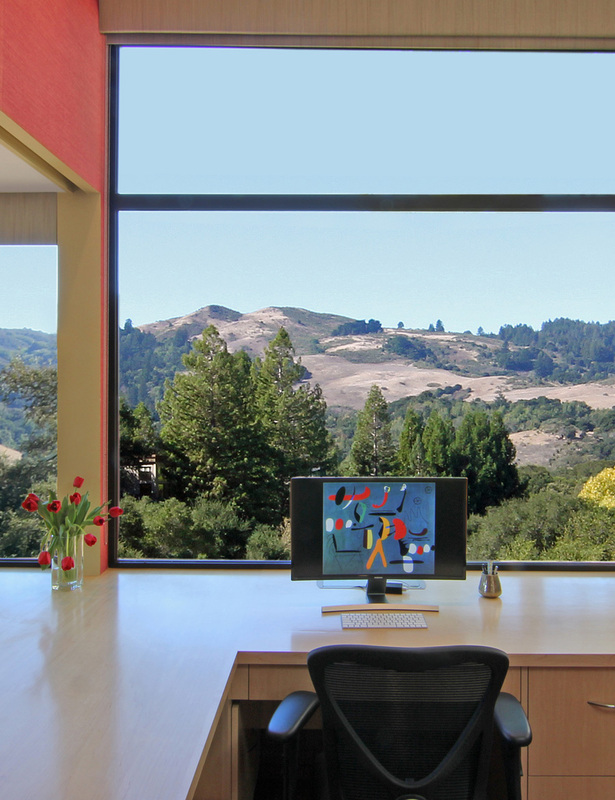 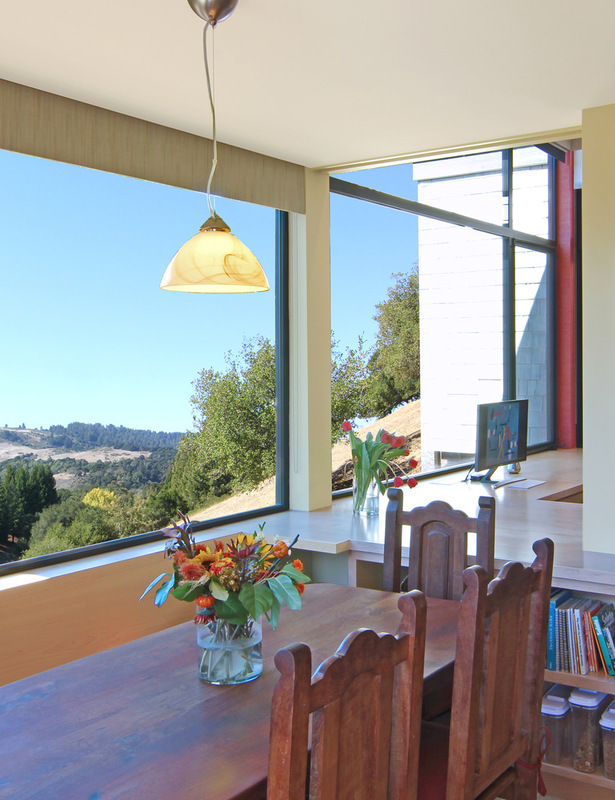 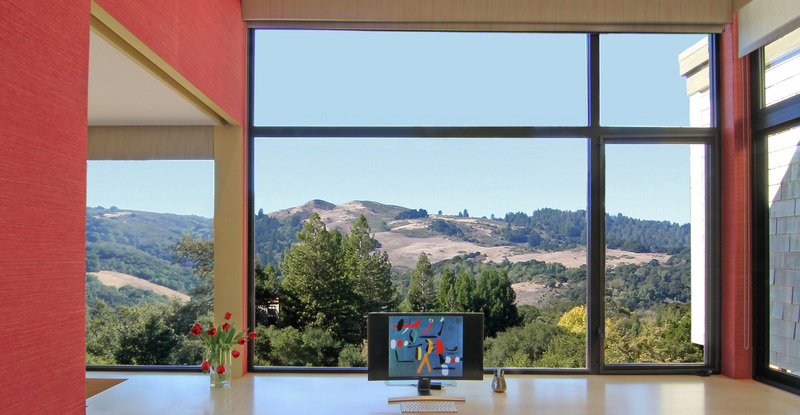 An Addition and Remodel to capture Expansive Views of the Santa Cruz Mountains. 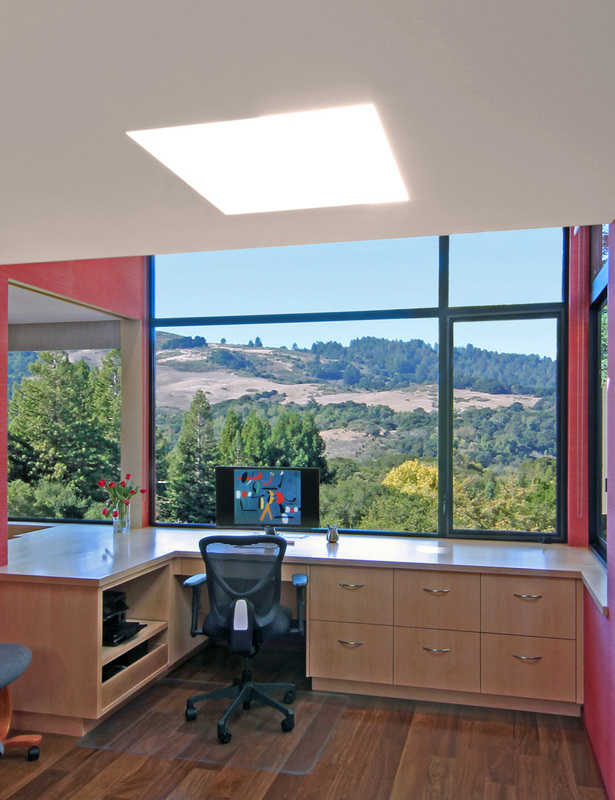 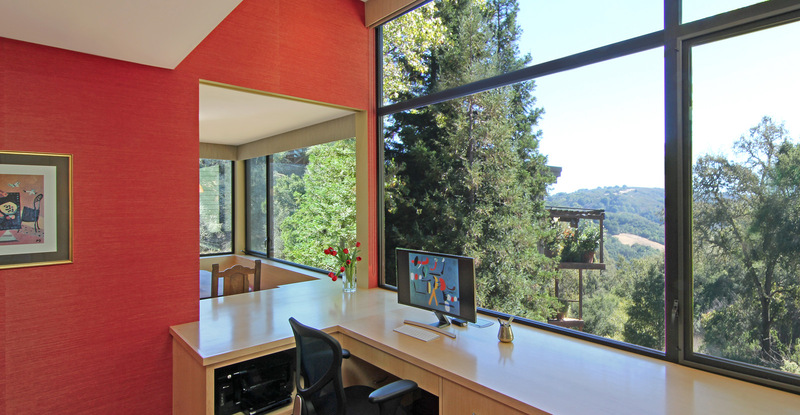 An existing Bedroom is Transformed into a Home Office with Expansive Window Walls. 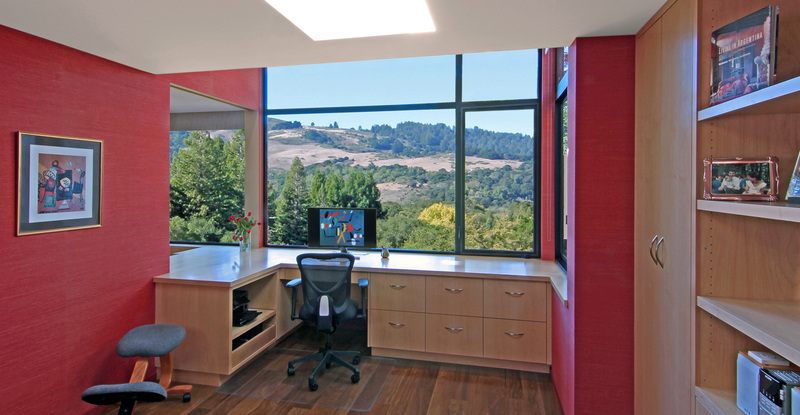 A Special Feature allows a Large Pocket Door to expand the Space and Views. The Original Home was built in a 1970’s Planned Development with Strict CC & R’s. 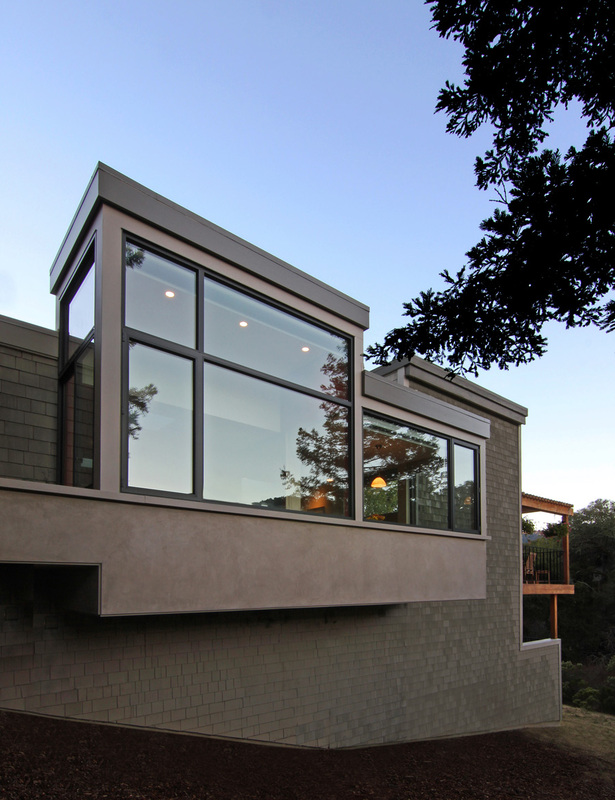 Design Challenges include Creating Distinctive, Bold Architecture while responding Creatively to the Constraints of the Home Owner’s Association. 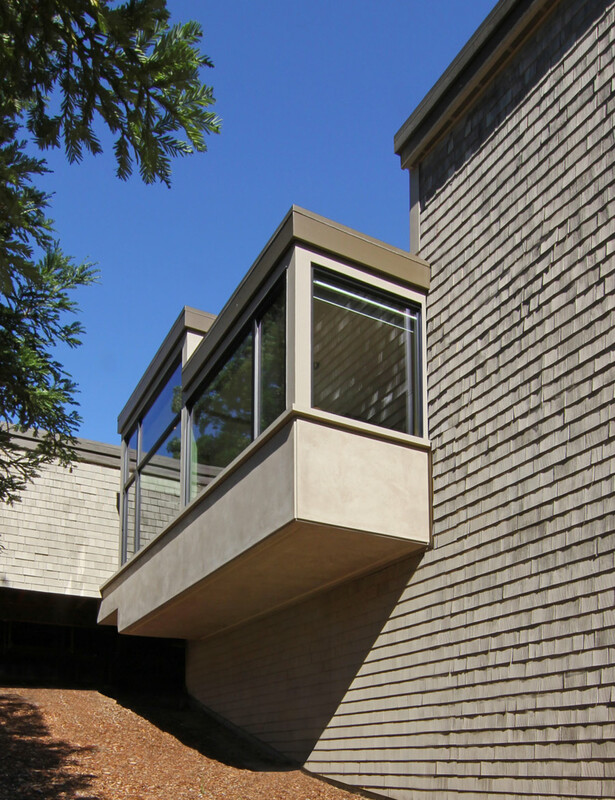 New Smooth Troweled Stucco adds Crisp, Clean Contrast to the Original Rustic Shake Cedar Siding. 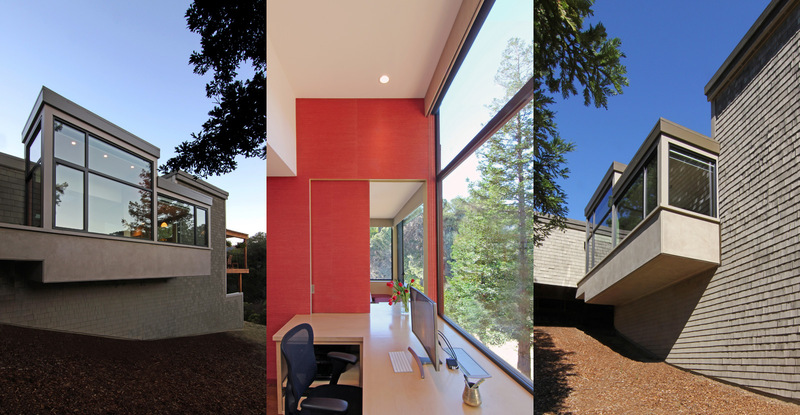 The New Addition adds a Vibrant Element to the existing 1970’s Modern Architecture. 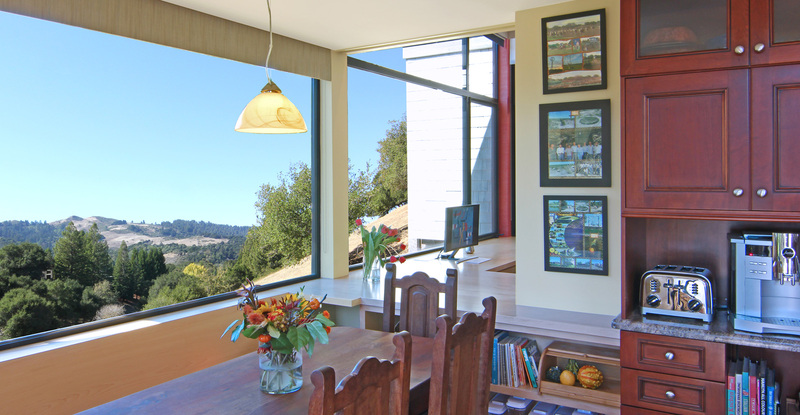 The Unique Design Feature of the Large Pocket Door allows for Vaulting Interior Space flooded with Light and Expansive views to flow into the Main Open Kitchen, Living Dining Area. 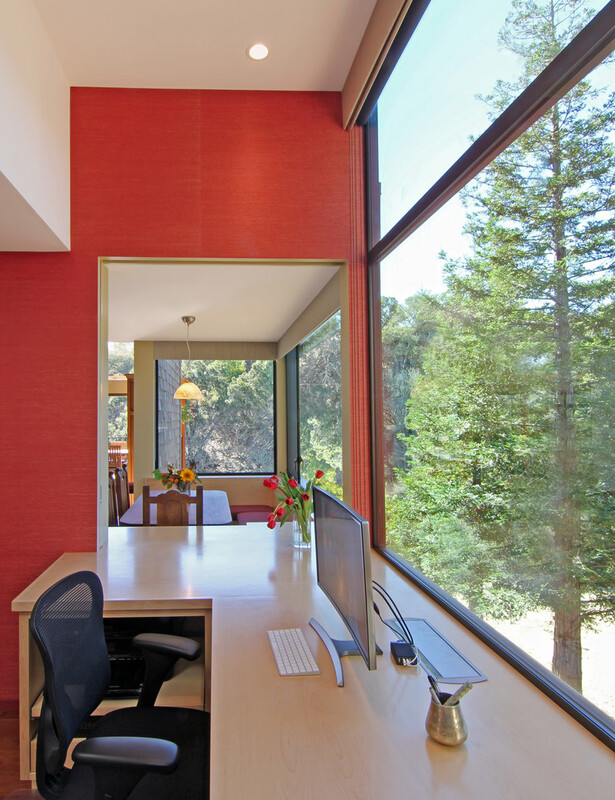 When Solitude and Office Work is on the Agenda, Simply Slide the Large Format Pocket Door. 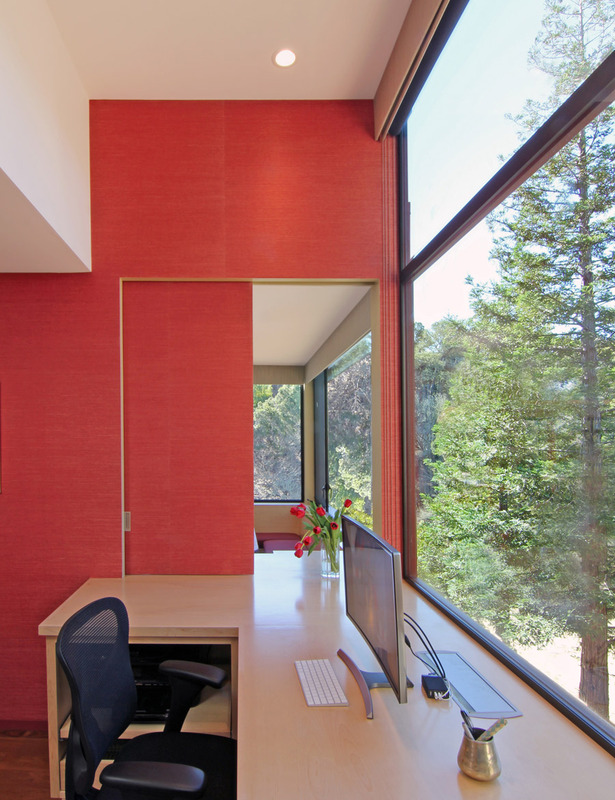 Special Attention was taken to Sound Proof the Door and the Separating Wall.